Let’s put this silly debate about UCF to bed. The Knights DO NOT belong in the college football Final Four. I could sit all day and tell you wonderful things about UCF. The Knights haven’t lost a game in nearly two seasons. They have some outstanding players and coaches. But UCF isn’t as talented has a bunch of Power 5 Conference teams. Yes, the Knights have beaten Auburn and Pitt, but they’ve never faced a gauntlet of games, back to back to back, against the likes of Alabama, LSU, Georgia, Michigan, Ohio State, Oklahoma, etc. 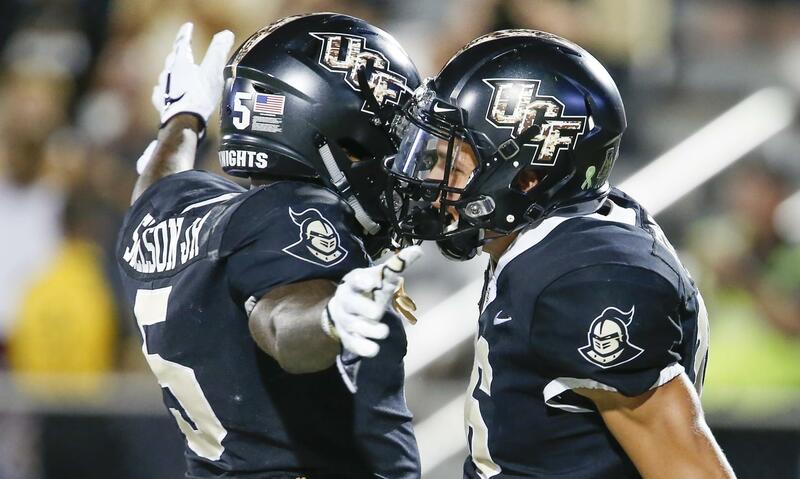 No doubt, UCF has tried to schedule more Power 5 teams. Absolutely, few Power 5 teams are willing to schedule too many everything-to-lose-nothing-to-gain games. The College Football Playoff doesn’t want non-Power 5 schools. It isn’t fair, but it’s the way it is. Truth is UCF isn’t a top 4 team. It isn’t a top 10 team. When I get to talking about either of the First Coast’s two most popular football teams – the Jaguars and the Gators – I get confused about which one I’m talking about. They journeys are so much alike. Both got off to good starts. Both are currently in losing streaks. Both have suffered embarrassingly lopsided losses. Both have major issues at quarterback, having benched their starters, and now face difficulty about what to do moving forward. The Jaguars are coming off of a bye week. Did it help resolve the QB issue? Should the Jaguars stay with Blake Bortles? He’s in the longest slump of his very average career and it’s happened at the worse time possible. High expectations have been crushed. What options – Cody Keesler, Landry Jones, whoever – do they have? The Gators know Feleipe Franks isn’t the answer. Does Kyle Trask deserve a chance? Emory Jones? Two teams. Two different levels. Incredible similarities. No clear answers.